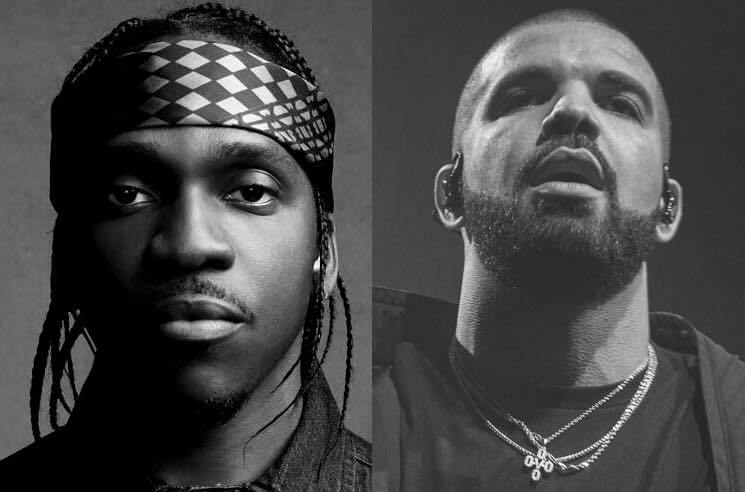 Pusha-T on Drake Beef: "It's All over With"
Days after other parties close to Drake and Pusha-T indicated that the pair won't be dropping any more diss tracks, the G.O.O.D. Music artist and president has indicated that the feuding is "all over with." In a new interview with Vanity Fair, Pusha said, "These conversations have been had and, to my knowledge, it's all over. It's all over with.... I'm ready to be back to the music for real. Just feeding my base, that's it. That's the most important thing to me at all times." When asked if there was anything to learn from the beef's sudden conclusion, he replied, "I don't even know. I don't know what was lost or what was gained." Should the beef truly be finished, Pusha-T had the last word with devastating diss track "The Story of Adidon," in which he took aim at Drake's family and collaborators, additionally claiming that the Canadian rapper was hiding a child he had fathered. Last week, Rap-a-Lot Records boss and Drake mentor J. Prince revealed he had advised the rapper not to release a response. "I spoke with Drake," he said in conversation with DJ Flow on DTLR. "I made an OG call to Drake this morning, telling him, 'I don't want you to respond to this. We gon' put this to bed. We can't get in the pig pen with pigs.'" We'll see if any more lyrical jabs are thrown on Drake's forthcoming Scorpion LP, which is expected to arrive this month.